Use it once, and you'll never want to travel without it again! 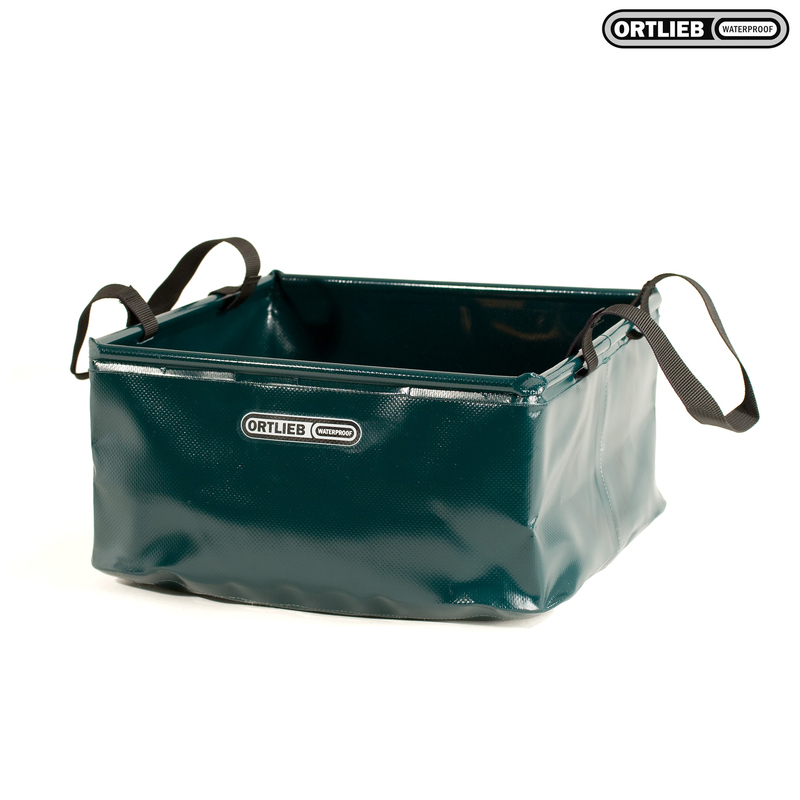 The Ortleib Folding Bowl is a versatile companion which can be used for doing the dishes, washing clothes, picking berries, even bathing babies, as well as a food bowl, salad bowl, outdoor aquarium, etc. It's also easy to carry with one hand thanks to the straps. Folded up, it takes up very little space in any backpack or pannier. Suitable as water or food bucket or to fetch water when trekking, camping, etc.